At the age of 31, Betty Eadie died after routine surgery. The events that followed can only be described as the most profound and extensive near-death experience ever recorded. During the time she was clinically dead, Betty was given knowledge of the afterlife that would make even the greatest skeptic think twice. As she traveled through the spiritual realm, she learned more about the laws and history of the universe than perhaps anyone before her. She explains with uncanny detail the reasons why we have chosen to be on this earth at this time in history, and how all out actions are growing experiences for our immortal spirits.In those few minutes that stretched into eternity, Betty's life was changed forever. 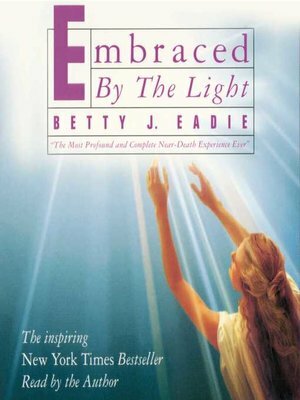 In this special unabridged recording of Embraced by the Light, she shares the vision of a world she never imagined existed, and gives new meaning to the question, "Why are we here?"